Lucasfilm has unveiled the 'Star Wars: The Force Awakens' poster. Ahead of the release of the official trailer for the movie on Tuesday (20.10.15), the new poster featuring key members of the cast including Daisy Ridley as Rey, John Boyega as Finn and Oscar Isaac as Poe Dameron has been revealed. Others featured on the poster including original characters Han Solo (Harrison Ford) and Princess Leia (Carrie Fisher). Drew Struzan, who has been working on the poster art for the franchise's seventh instalment, recently insisted this will be the best movie in the franchise. 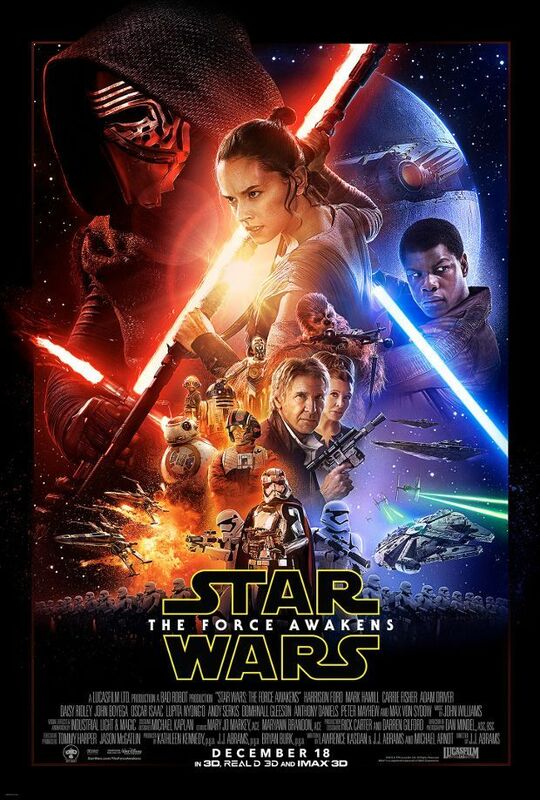 'Star Wars: The Force Awakens' opens in UK cinemas on 17 December 2015.